19 year old Hadjau from Divo speaks French and presently 1st year as a law student and hopes to become a successful lawyer someday. She pictures herself as someone who is a jovial, kind, sincere and natural person. She loves music, jogging, travelling and fashion. Standing 5'7" tall, Valerie believes in the slogan "Hard work is the key to success." Helene representing Cote d'Iviore will compete against other 119 contenders vying the title of Miss World 2012 which celebrates the grand finale on August 18 in Ordos, Inner Mongolia at the People's Republic of China. It is one of the most celebrated and the oldest surviving beauty contests in the world since 1951. If ever she wins the crown, she will stay in London entire her reign and will travel to represent the Miss World Organization and its various causes. 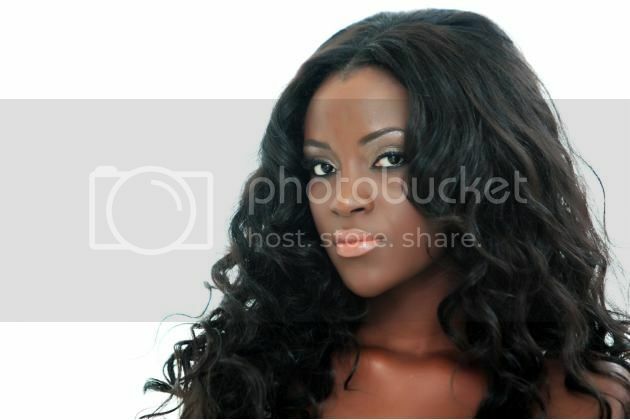 Do you think the exotic Miss Cote d'Ivoire can win the hearts of the crowd and take home the coveted crown?